It could have been worse for the keeper of a collection of Stephen King’s original manuscripts. Although a flood in the basement of a Maine bookstore earlier this month damaged and destroyed an unknown number of the horror master’s first and limited editions, six of the seven original King manuscripts that were kept at Gerald Winters and Son in Bangor survived with little damage, the owner confirmed Friday night. The bookstore at 48 Main St. was one of several Bangor businesses that flooded when a water line broke Jan. 16. Original manuscripts for “Black House,” “Dolan’s Cadillac,” “The Plant,” “Creepshow,” and two drafts of “The Eyes of the Dragon,” have all been found, said the store’s owner, Gerald Winters. All of those works suffered little damage in the flood, he said. The manuscripts were kept in air-tight and watertight conservation boxes, which were sealed with tape and wrapped in bubble wrap, he said. Letters from King and fantasy writer J.R.R. Tolkien and signed copies of King’s “The Gunslinger” were also recovered, he said. A manuscript for “Trucks,” which became the basis for the 1986 movie “Maximum Overdrive,” has yet to be found, he said. The screenplay for that movie was destroyed in the flood. Winters has also yet to find a “couple of personal letters” that King wrote to his agent, nor has he found several copies of a college newspaper that serialized the King short story “Slade” in 1970. 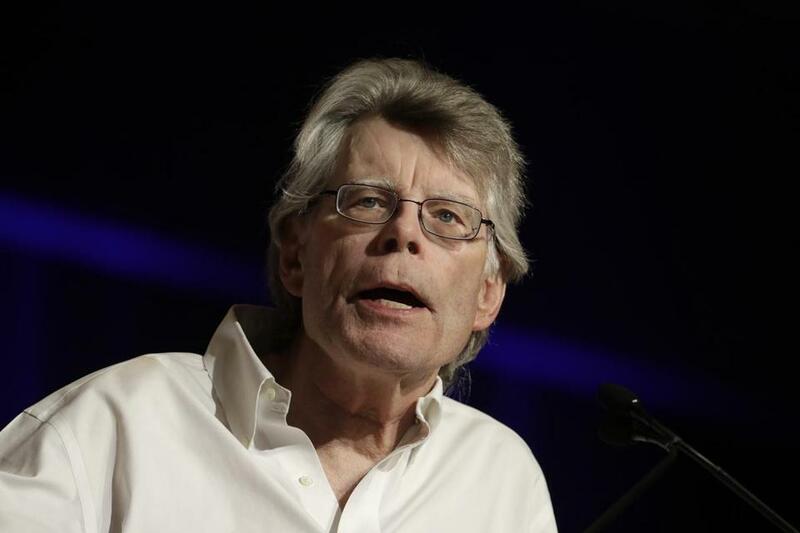 It was unclear how many limited-edition King books have been damaged or destroyed, Winters said. The Bangor Daily News reported that Winters lost about 2,000 books. Sifting through his waterlogged collection of limited editions, signed copies, galleys, and other rare items could take weeks, he said. King was saddened to hear of the flood. A Bangor Water District official estimated that as many as eight businesses were affected when a fire service line in front of 46 Main St. broke.